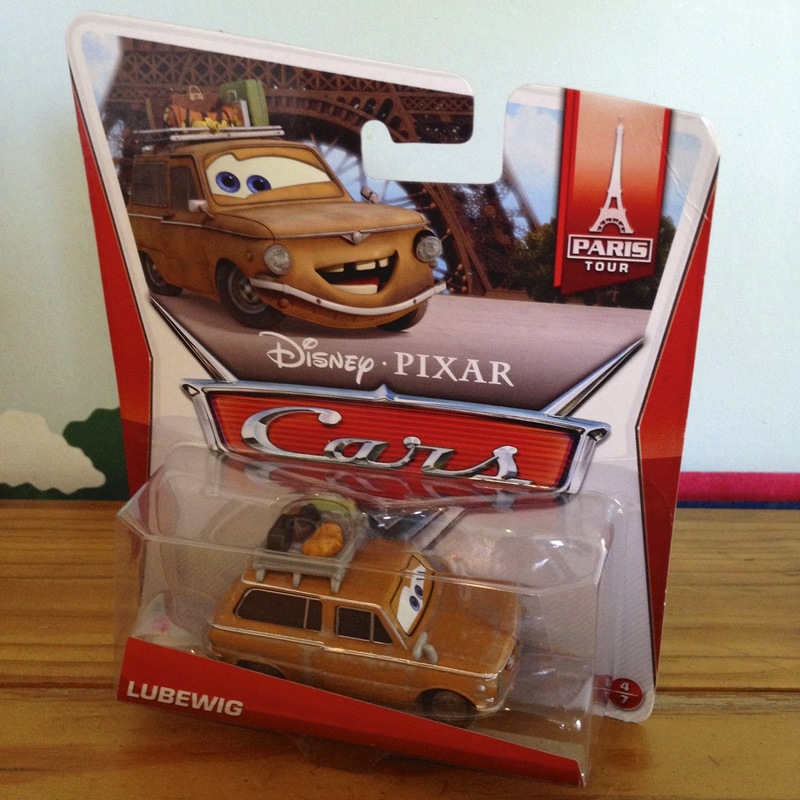 From Mattel, here we have Lubewig, a new 1:55 scale vehicle as seen in Cars 2. He is part of the 2014 "Paris Tour" sub-line (number 4/7). As shown in the screenshot above, he can be seen with his wife Geartrude (who was also released this year, seen HERE), posing for a flattering painting done of them during the "Paris arrival montage." This is the very first time this character has been released as a diecast. It's really a breath of fresh air to have the release of a new character amongst all of the re-packs and re-releases this year so far! This is a fun diecast with a unique look (love the luggage rack and goofy smile). 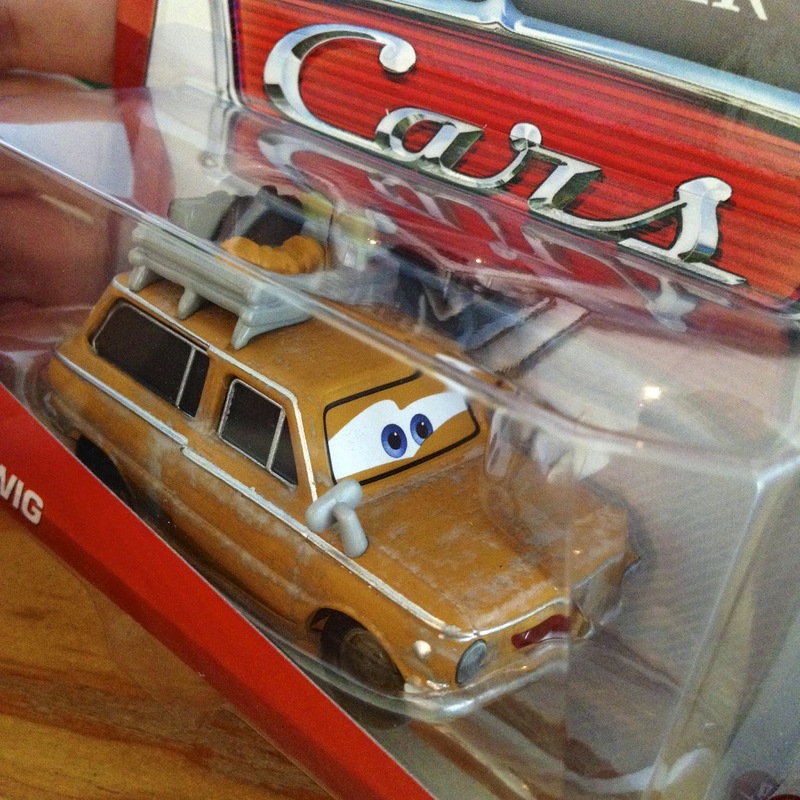 If you're any kind of Cars/Cars 2 collector, I'd definitely try to track this one down. Lubewig was released a couple of months ago, but you may be able to still find him at your local store if you're lucky. I for one never actually found him in store as he ended up being super rare here in my area. A big thanks to my good friends T.J. and Julie over at PixarPost.com who were able to help me out here by picking one up for me!